Beautiful 18.94 +/- acs & brick home features 3 BR s 1.5 bath, bamboo floors, Pella & Anderson windows, solid birch kit cabinets, beautiful sun room/den was added w/Anderson windows, all appliances remain to include w/d & freezer, 60X40 workshop/barn, security system. Home is in excellent condition. )HVAC & NEW ROOF & HVAC replaced 2015. Beautiful pastures & CREEK.runs through property.PLEASE REMOVE SHOES or use shoe covers provided at side door. Directions:From Fayetteville take Hwy 231 N ( Shelbyville Hwy) approx 9 property is on the left. Look for sign. SchoolsClick map icons below to view information for schools near 854 Shelbyville Hwy Fayetteville, TN 37334. Listing provided courtesy of Burt & Co. Southern Real Estate. Home for sale at 854 Shelbyville Hwy Fayetteville, TN 37334. Description: The home at 854 Shelbyville Hwy Fayetteville, TN 37334 with the MLS Number 2010683 is currently listed at $275,900 and has been on the Fayetteville market for 71 days. 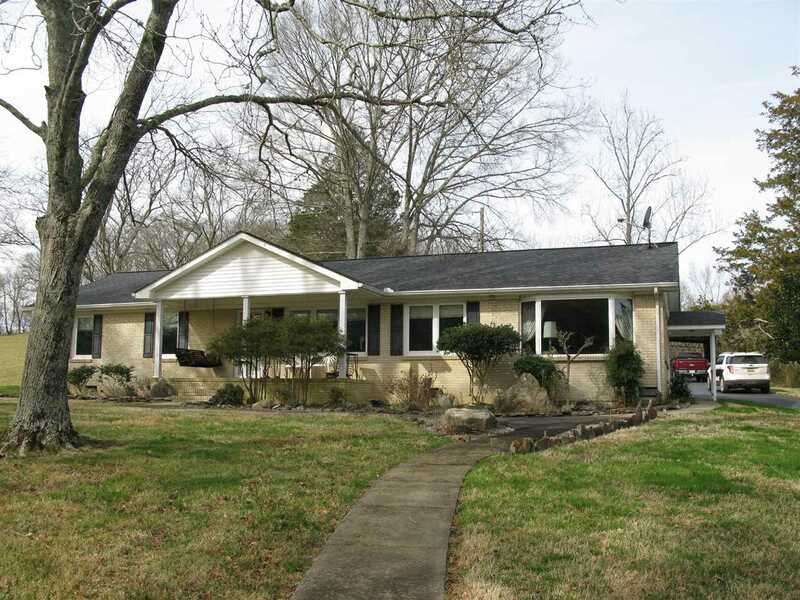 You are viewing the MLS property details of the home for sale at 854 Shelbyville Hwy Fayetteville, TN 37334, which is located in the Metes & Bounds subdivision, includes 3 bedrooms and 2 bathrooms, and has approximately 1914 sq.ft. of living area.